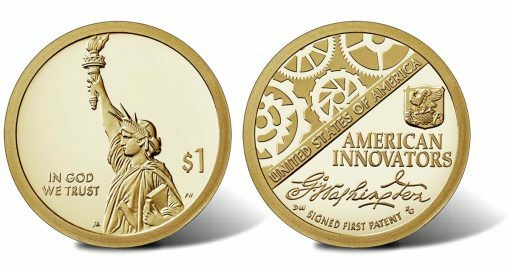 In preparing to launch new products on Dec. 14, the United States Mint unveiled images this week of the first dollar from its multi-year program of American Innovation $1 Coins. 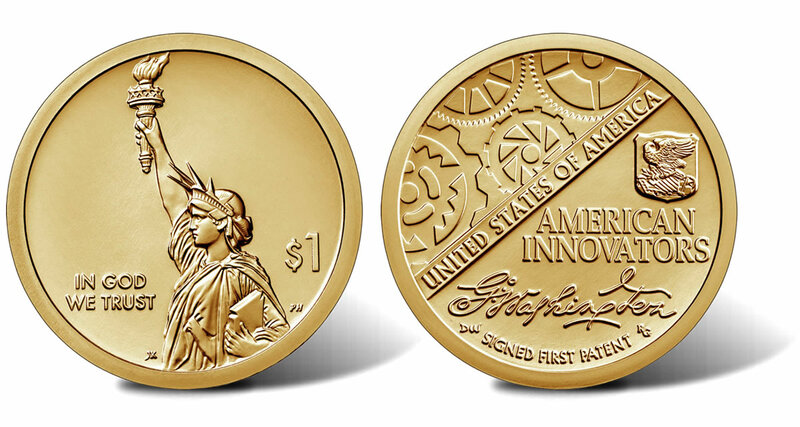 Above are obverse and reverse images of the 2018-S Proof American Innovation $1 Coin. Proof dollars are struck at the San Francisco Mint, carry an “S” mint mark on their edge, and feature frosted designs against mirror-like backgrounds. 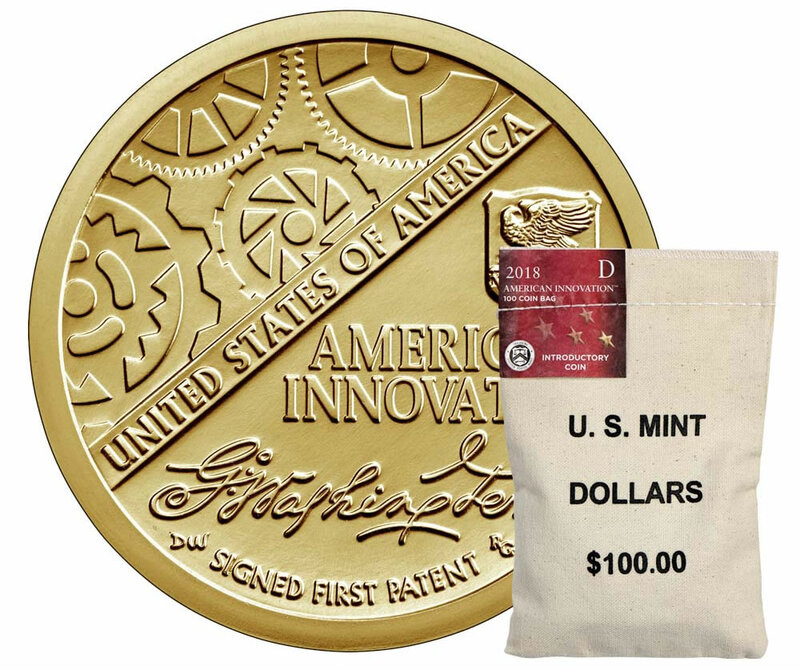 Along with uncirculated American Innovation dollars in rolls and bags, the U.S. Mint on Dec. 14 will begin selling this proof edition. 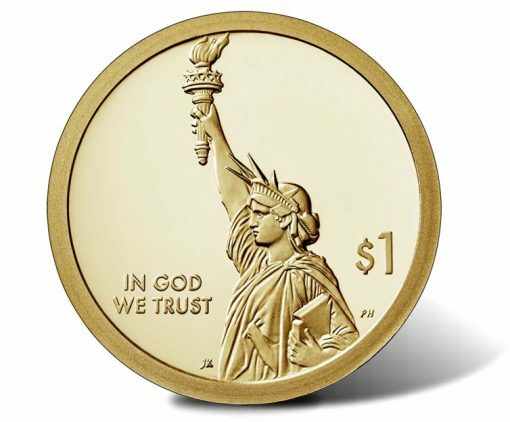 Designed by Justin Kunz and sculpted by Phebe Hemphill, series dollar obverses (heads side) depict the Statue of Liberty in profile with inscriptions "IN GOD WE TRUST" and "$1." This image will be shared across all 57 coins in the program. A larger image of the American Innovation dollar’s obverse or head side design. This design will be common across all 57 coins in the series. Dollar reverses (tails side) will be unique to an innovation or innovators honored from each state, District of Columbia, and the five U.S. territories. This year’s Innovation dollar introduces the series with a reverse paying homage to President George Washington who issued the first U.S. patent to Samuel Hopkins on July 31, 1790, for developing a process for making potash. 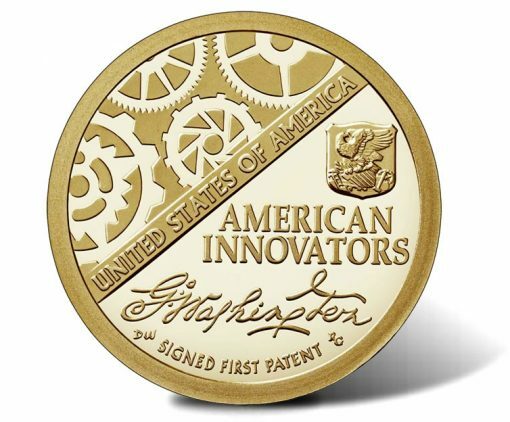 A larger image of the reverse or tails side of a 2018 American Innovation $1 Coin. This design is unique to 2018. It will not carry forward to future coins in the series. Designed by Donna Weaver and sculpted by Renata Gordon, it features Washington’s signature, stylized gears to represent industry and innovation, and a privy mark-like collage showing an eagle atop tools within a shield. Inscriptions include "UNITED STATES OF AMERICA," "AMERICAN INNOVATORS," and "SIGNED FIRST PATENT." 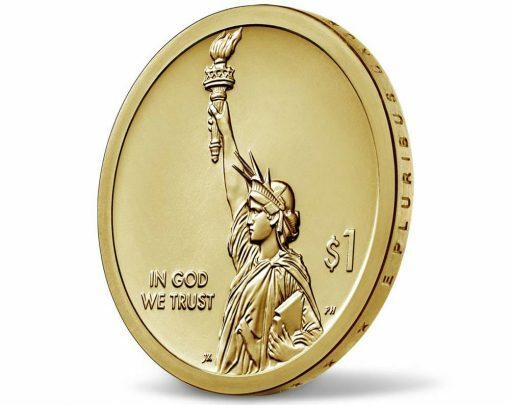 Edges of dollars are incused with their year of minting, a mint mark, and "E PLURIBUS UNUM." Image of both sides of a 2018 Uncirculated American Innovation $1 Coin. Uncirculated dollars are produced at the Denver and Philadelphia Mints and bear designating “D” or “P” mint marks on their edge. U.S. Mint image of one of their dollar roll products for release Dec. 14. 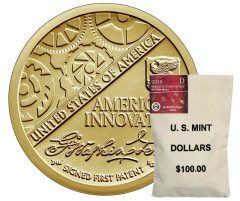 U.S. Mint image of one of their dollar bag products for release Dec. 14. Beginning in 2019, four new Innovation dollars will be released annually bearing different reverses. The series will conclude in 2032 with the last four designs. Waste of time, waste of resources, WASTE OF MONEY! Perhaps if the mint wasn’t so wasteful with these three items, then the premiums on the collectable that we really want and like wouldn’t be so high. Nahhhh, the mint is too greedy to ever consider lowering the premiums on their products. Nearly 4x the spot price of silver for a 1oz silver eagle? And we gobble them up like they’re free pancakes at the church pancake breakfast! So sad! Keep cranking out these garbage coins so they can sit in bank vaults by the hundreds of millions. Nailed it,,,,,an unattractive, uninspired, unwanted and unneeded coin series designed to add another dollar coin never intend to be circulated or used. The Coin design look awesome for me . Also it does create Jobs in America ! But ,. Mint must find out other way can make the coin shinning forever! There are not many young collectors interesting numismatics hobby. If government want we using coin daily , they must stop printing $1 bill ! When people have no choice ,then we need to use Dollar coins Why they create this 14 years of series of coins if it pure Uncirculated in market ? We are unable to get from the bank ! we have to pay at least 12% to get $100 worth of coin , Are we Stupid American Oldies.? These did not make it into the 2018 mint or proof sets. Will the Mint enlarge the sets to include these or will it be necessary to buy them separately? It seems strange that they would introduce a 2018 dated coin on December 14th of the year struck. I have no desire to collect this excessively long, bland minting. This series never make it to conclusion. I feel the same way. avid collector since 2008. not interested in this junk. age 68 also. I have all my receipts from the coins. at least $5000.00 a year. pretty much have stock in the US MINT…. Join the discussion…Wow did not want your collection, young people today have no clue on anything, dont they know it is an investment, the coins are worth money, more then the face value, some coins worth thousands. The obverse looks more like a token than a coin. Ideally the Mint should move the date, mint mark, and motto off the edge and fill in some of that empty real estate. If not that, they should at least fix the ridiculously low incuse edge lettering so it can be read without a magnifying glass. I think differently… I believe the outstanding beauty of this coin is the simplicity of the obverse! I believe it was a great decision to “change up” the old design motif of date/motto/mint mark by moving it to the edge. 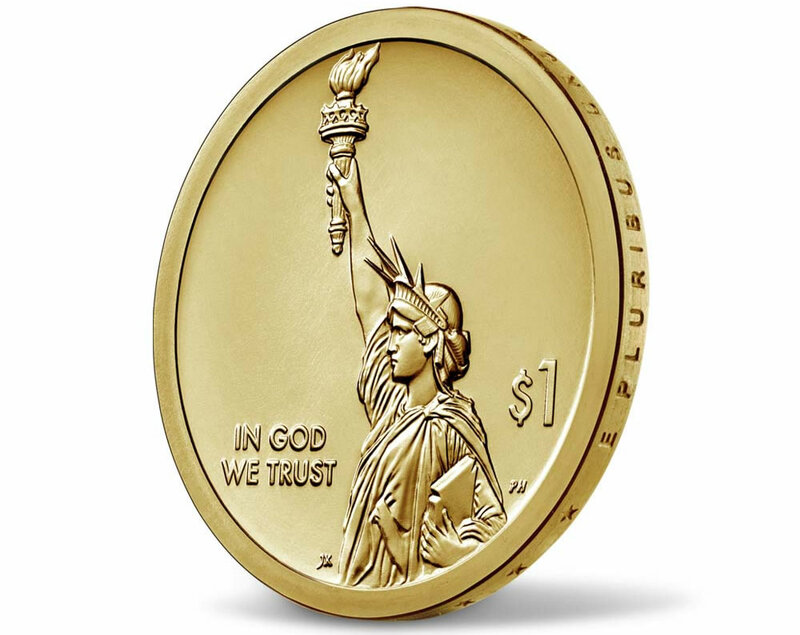 It allows the full dramatic elegance of the Statue of Liberty design to define the coin. I hope they include it annually as part of an enlarged Mint set. An utterly fantastic design of great need! $6.5o a bargain in today’s economy. I read that for NY the “Apprentice” TV show is the innovation….. Debate on the necessity of this series aside, this is precisely why Mint and Proof Sets should not be released the same year as the date on the coin but the following year. The same problem happened in 1999 with the unexpected minting of the Susan B. Anthony dollars making the 1999 Proof Set incomplete as well (presumably this is also true for the 1971 and 1972 proof sets which did not include the new Eisenhower dollars as well). At least in 1942, an amended Proof Set was issued to include the 1942-P nickel. So why in the world are the rolls and bags being minted, if they aren’t to be circulated? I like the idea, but I think it has been rushed to satisfy the ego of somebody in the Executive or Legislative Branch. Not to say that hasn’t happened before, a few times. 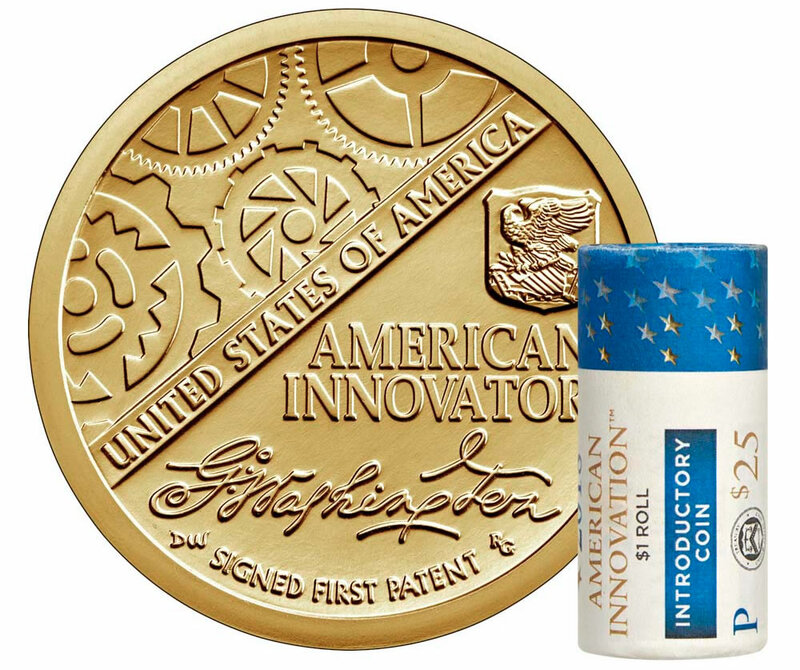 Why isn’t the word LIBERTY on the Innovation coins?